Are you cycle ready? Unlike many sports, you don’t actually need a lot of kit to get started, except, of course, a bike. Even then, cycle hire options are getting better all the time. However, having the right gear can help you perform better, make you more comfortable and, more importantly, keep you safe – plus it’s always nice to look the part. So, why not give the old gym kit a miss and check out some clothing and equipment that can enhance your whole cycling experience. There are so many variables that will be specific to you and this will have an impact on the kit you need. For instance, are you an urban or rural cyclist? Do you ride for pleasure, exercise or simply as a mode of transport? Do you travel at day or night? All these questions are worth considering if you’re giving a new cycling career some serious thought, but to get you started, here are our tips. This should be your number one piece of kit. Although it isn’t the law to wear one, you really should. Cycling is a great pastime and obviously really good for you, but your safety is critical. Instead of thinking ‘why should I bother?’ ask yourself ‘why wouldn’t I?’ Make sure you get one that you find comfortable, that has good ventilation and fits you well. Proviz’s Reflect360 Helmet is really comfortable and light – in fact, we reckon you’ll hardly know that you are wearing it. 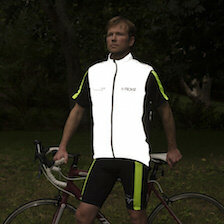 We’ve designed it to be slick and cool and at night no one will miss you since it is completely reflective. 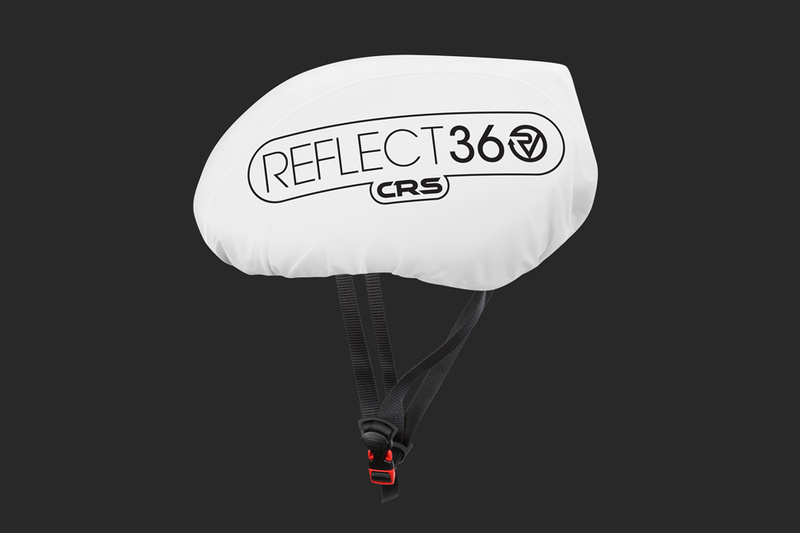 If you already have a helmet you love but isn’t visible at night, why not try the Proviz Reflect360 CRS helmet cover. It is also waterproof, so if it’s raining, you won’t get those uncomfortable trickles of water through the ventilation gaps of your helmet. 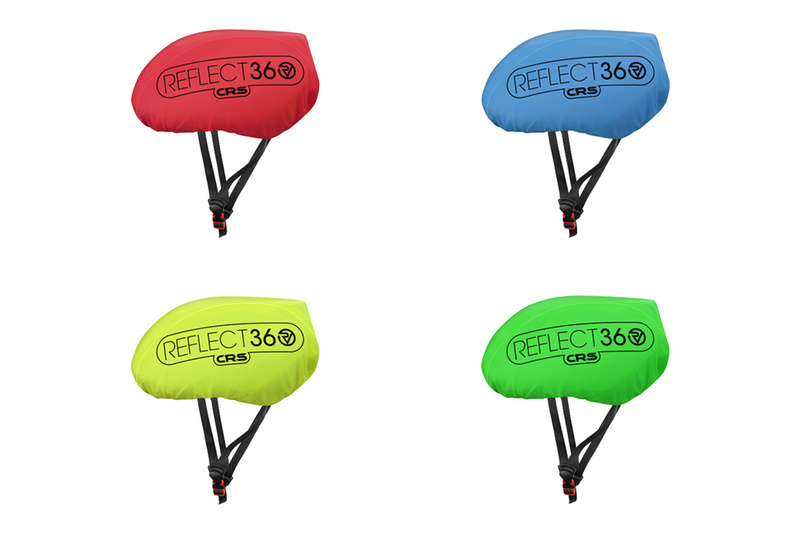 The REFLECT360 CRS (Colour Reflective System) Waterproof Helmet Cover comes in five different colours including black, blue, green, red and yellow. 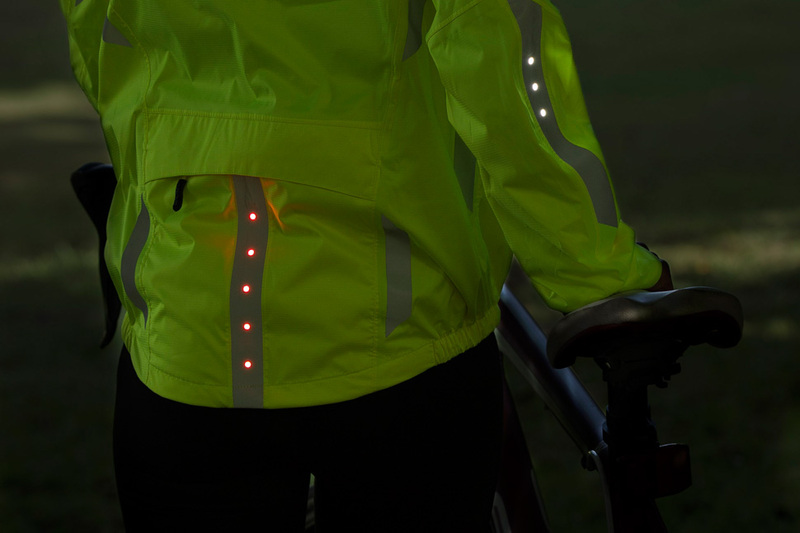 The Nightrider LED cycling jacket has three white LED lights on each forearm and five red LED lights on the lower back, all powered by a small USB rechargeable battery pack housed in a tailored inside pocket. It really is worth investing in clothes that are designed specifically for cycling. Small touches are incorporated into the design to improve your comfort and safety. For example, good cycling clothing has seams in places that won’t rub. It also tends to be breathable so that you don’t freeze in your cold sweat, and it ought to be visible day and night. Finally, look for clothing that fits snugly, so that you don’t get straps, zips or trousers stuck in your chain or wheels. Think lightweight, snug, all weather. Base layers are a good start and if you choose breathable materials then you can use this as summer wear and as a base layer of warmth in the winter. At Proviz, we’ve designed a variety of different types of cycling gear. Why not try the Pixelite Performance shorts or leggings – depending on your preference of length. They are snug fitting, really flattering and have reflective strips perfectly designed for the cycling motion, so that passing traffic can see your moving legs. Again, depending on your preference, the Proviz long- or short- sleeved tops are fully breathable, come in visible yellow or pink and act as a great base layer or outwear, depending on the temperature. Once you have your basics sorted, you might want to start thinking about a jacket. You need something wind and water resistant, visible and warm – ideally this can pack away in your backpack. The Proviz windproof jacket is made from ultra-lightweight material ideal for spring or summer rides, or when a thin and breathable extra layer is required over the top. The jacket packs down into its own integrated pocket so you can easily store it and bring it out should a change in weather catch you out. 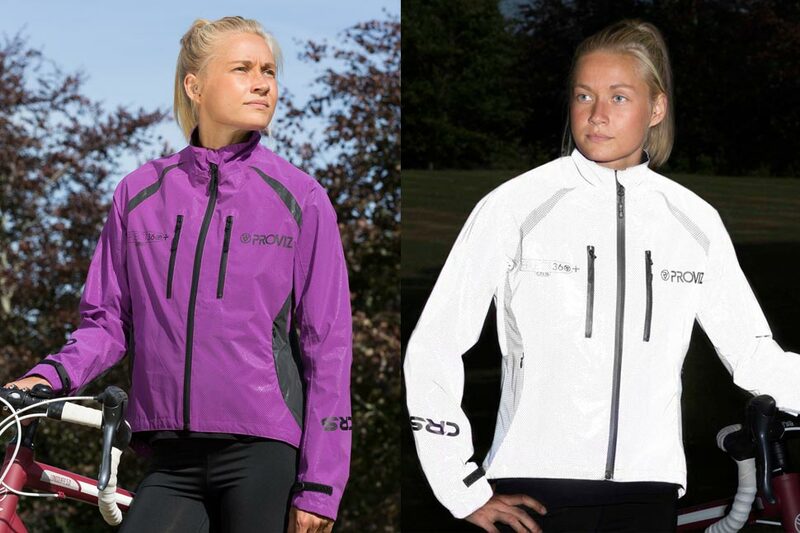 The jacket is windproof, water-resistant and is compatible with the Proviz LED flasher (above) to give you that extra bit of safety when travelling at night. 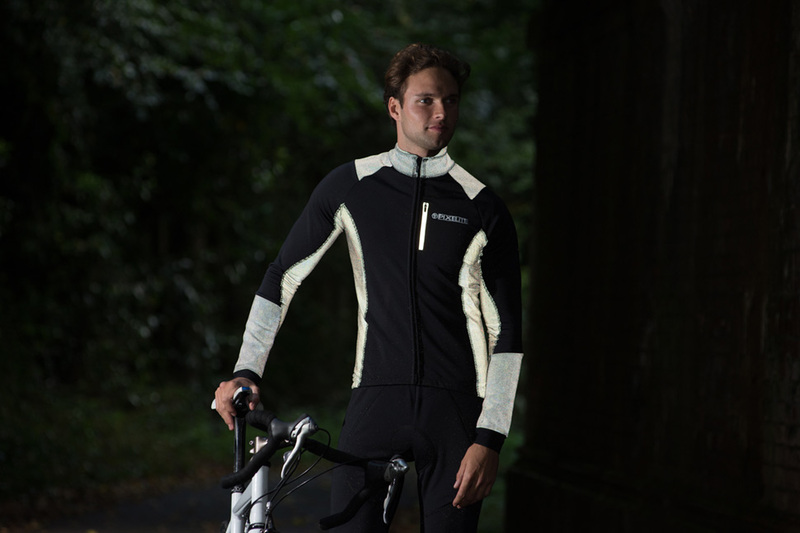 The jacket’s highly reflective trim and logos will help keep you seen and safe when travelling at night and the zip guard at the top of the zip will stop any neck chafing. 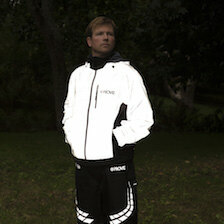 If you need something a bit more substantial, why not try our latest clothing tech – the REFLECT360 CRS Plus Jacket? 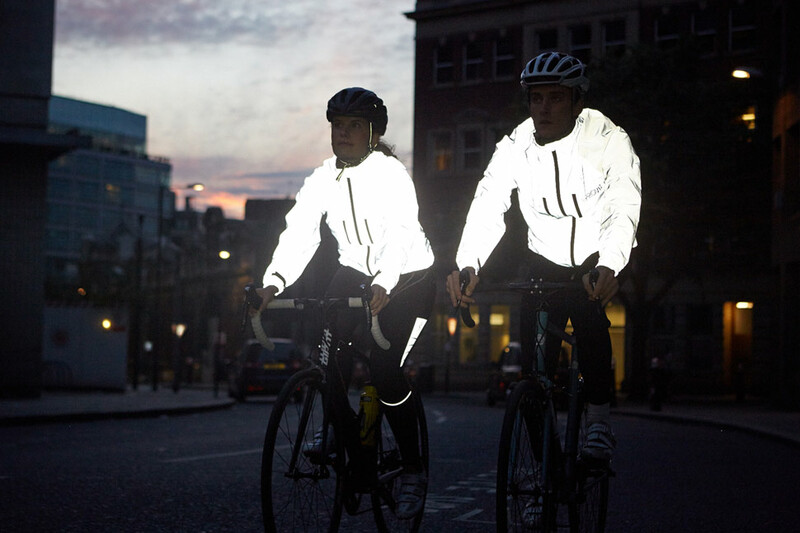 It comes in six vibrant colours but still incorporates our innovative 100% reflective material, meaning that it lights up when caught in a vehicle's headlights at night, just like our traditional REFLECT360 jacket. 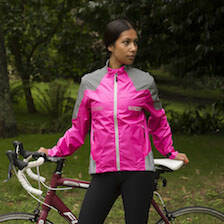 The REFLECT360 CRS Plus Women's Cycling Jacket has a more tailored fit, added side pockets, and has also been designed in a two-toned system to give a stylish and sleek look so you can look great out on the roads by day and night. We were asked if we could combine two of our best-selling jackets - the REFLECT360 Plus and the REFLECT360 CRS - to give the best of both cycling jacket to deliver a hybrid. So we did. The REFLECT360 CRS cycling jacket incorporates multiple vents - front, shoulder/back and under arm, allowing you to regulate your body temperature. During the winter, the vents can be closed and used as extra pockets, if needed. This means that you can use the jacket all year round. Water bottle – cycling without water is no fun, and can lead to dehydration and cramp. 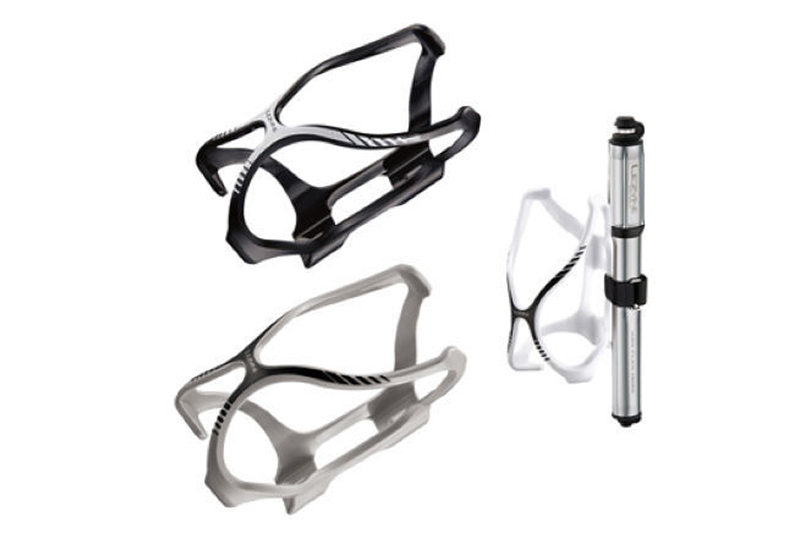 So, attach a simple water bottle cage to your bike – they are really affordable and all cages fit all bikes. Cycling shoes with cleats and so-called ‘clipless pedals’ will drastically increase your pedalling efficiency, allowing you to pull on the upstroke as well as push on the downstroke. It’s as natural as breathing (especially when riding up hills) and once you’ve mastered clipping in and out (a simple skill, best practiced on a firm but forgiving surface like a playing field), you’ll wonder how you ever lived without them. There are hundreds of brands selling these now and they normally fit a universal clipless pedal. 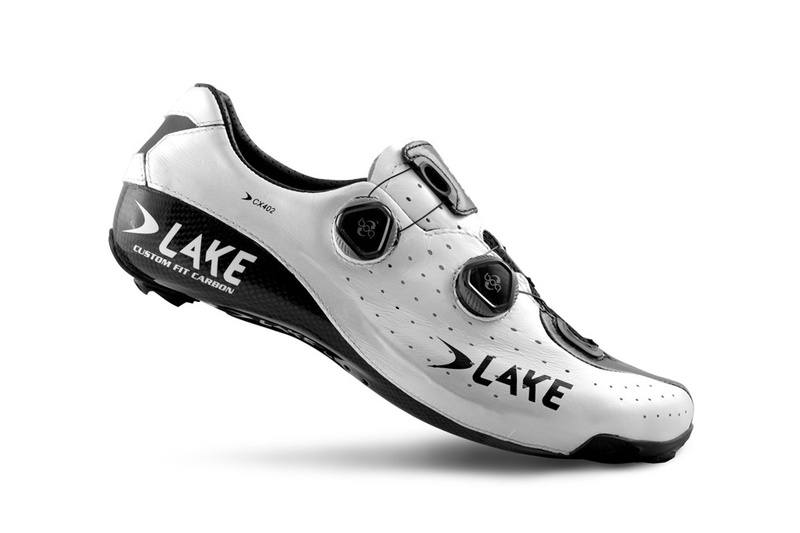 We really like Lake (below) as they fit beautifully and focus on foot comfort as well as performance. Lights – if you're riding in a built-up area, and the road or path is well lit, then your main priority should be to make sure you're visible to other road users. These are your 'be seen' safety lights. If your commute takes onto some unlit roads or paths, though, you'll want a more powerful front light, so that you can 'see' as well as 'be seen'. Anything over 200 lumens will be able to cast a beam on the road and offer sufficient light to ride on unlit roads and paths at a sensible speed. If you’re likely to be riding on unlit roads at a fast pace, then you’ll need something even brighter – we’re talking upwards of 600 lumens. A powerful front lightwill help you pick out potholes, rogue badgers and stray pedestrians! On the rear, a bright safety light will allow other road users to see you from a good distance. 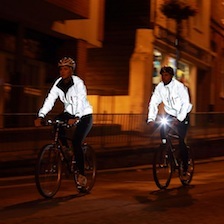 Using the flashing mode, and doubling up on these lights, will make you even more visible. Backpack –need a backpack but don’t know where to start? Take a look at our handy guide to choosing the right backpack for you. Tool Kit – if you’re plan to take your cycling seriously then it’s worth investing in a simple tool kit. A puncture is by far the most likely ‘break down’ problem you will have, so it’s worth carrying a spare inner, a couple of leavers and a pump with you. Now you’re ready – get going and enjoy!